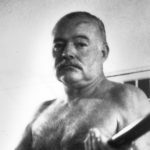 “A Clean, Well-Lighted Place” was published by Scribner’s Magazine in March of 1933, but it was not until 1956 that an apparent inconsistency in the waiters’ dialogue was brought to Hemingway’s attention. Hemingway’s thirteen word reply to Judson Jerome, an Assistant Professor of English at Antioch College, said that he had read the story again and it still made perfect sense to him. Despite this letter, Scribner’s republished “A Clean, Well-Lighted Place” in 1965 with a slight change in the waiters’ dialogue that they argued would fix the apparent anomaly. I will argue that the original text is the correct text. Scribner’s decision to alter the original text, the letter Hemingway wrote to Professor Jerome, and several papers on the subject all add up to a literary controversy that still churns among Hemingway scholars. I will argue that the original text is the correct text and Scribner’s just failed to interpret it properly. They failed to notice nuances in Hemingway’s writing that appear throughout many of his other works. They obviously thought Hemingway’s reply to Professor Jerome was made without notice of the inconsistency. Most important, I believe they did not evaluate the character of the two waiters in “A Clean, Well-Lighted Place.” A careful examination of the character of each waiter can make it apparent that the original text was correct and that there was no need for Scribner’s to alter the text. The dialogue in question results from a conversation the two waiters have concerning the old man’s attempted suicide. One waiter asks “Who cut him down?”, to which the other waiter replies “His niece.” Later in the story, the original text appears to confuse who possesses the knowledge about the suicide. The waiter who previously said “His niece”, now says: “I Know. You said she cut him down.” This seems to assume the knowledge about the attempted suicide has either passed from one waiter to another, or that we have incorrectly attributed the first exchange to the wrong waiters. So which waiter asked about cutting down the old man? When the disputed dialogue between the two waiters takes place, we do not know enough about them to develop an outline of character. 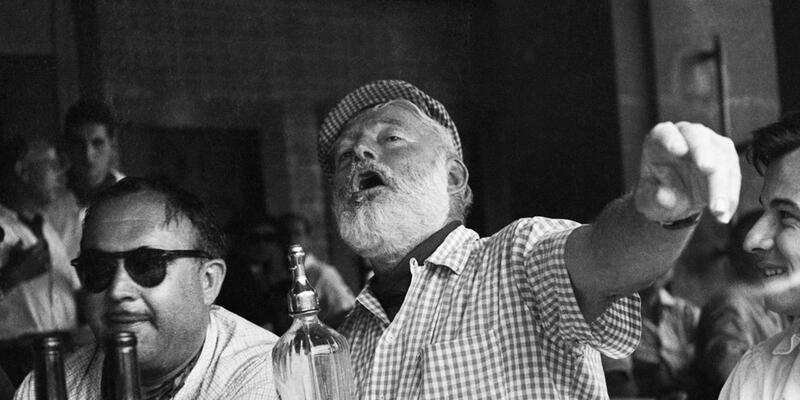 As the story progresses, the character of the two waiters emerges through their dialogue and thoughts, as does many of Hemingway’s characters. Once the character of each waiter is developed and understood, the dialogue makes more sense when the story is read again. The older waiter, who is unhurried and can empathize with the old man, makes declarative and judgmental statements throughout the story. Much like Count Mippipopolous in “The Sun Also Rises”, the older waiter is a reflective man who understands life and is not compelled to rush his time. He says things that convey his nature: “The old man is clean. He drinks without spilling.” and “I am of those who like to stay late at the cafe.” The older waiter shows concern for the old man and it would only be reasonable to assume that he knows a little about him. So if the older waiter knows about the attempted suicide, why did the original text “confuse” the issue? The younger waiter shows all the impatience of youth and an uncaring attitude towards the old man. He is more concerned about getting home to his wife and to bed before three than he is about the old man. This becomes obvious when he says, “An old man is a nasty thing.” We can assume that because the younger waiter cares only that the old man pays his tab, he is not paying close attention to what the older waiter is saying about him. This might be viewed as a long inference, but taken with the original text it interprets quite clearly. We have seen that the older waiter possess the character of a man Hemingway would probably respect and admire. He is reserved, contemplative, judgmental, and possesses many of the characteristics of a Hemingway hero. The older waiter was trying to make sense of what he probably saw as an age of confusion. The soldier that passes by suggests a conflict is occurring and adds to the old waiter’s perception of confusion. He was trying to tell the younger waiter how honest and decent it is just to sit in a clean cafe and drink a few brandies by yourself while trying to make sense of life. He tries to tell him that it is different to sit in a well-lighted cafe than it is to sit at a loud or dirty bar. The cafe is a place of quiet refuge and the older waiter understands this. The young waiter does not pay close attention to what the older waiter is saying because he is too concerned with his own affairs. This would work well, except the dialogue that Reinert and May suggests is said by the younger waiter does not seem in line with his character. I cannot accept that the older waiter is suddenly asking all the questions and that the younger waiter knows enough about the old man to answer them. While it is true that we are unable to know who speaks which line during the first two dialogues of the story, when taken as a whole the characters of the waiters emerge and we are able to attribute lines to each waiter. The character of each waiter indicates to me that the older waiter knew about the old man and was therefore telling the younger waiter about him. If this is so, then the original text still appears to be inconsistent, but a look at Hemingway’s droll approach to humor will suggest otherwise. 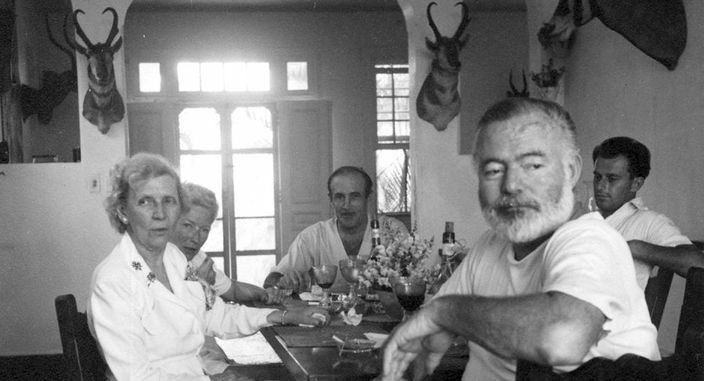 George H. Thomson’s article ” ‘A Clean, Well-Lighted Place’: Interpreting the Original Text” first gave me the idea that Hemingway might have imbued the older waiter with a dry humor that is found in other Hemingway characters. Jacob Barnes in “The Sun Also Rises” and the narrator in “Green Hills of Africa” possess this dark humor and Hemingway uses it effectively to befuddle other characters or to add to the cynicism of a situation. The narrator in “Green Hills of Africa” pretends to aim at humans while hunting and the guide misunderstands and takes him seriously. In “The Sun Also Rises” Jake speaks of a woman with bad teeth smiling that “wonderful smile.” The humor in “A Clean, Well-Lighted Place” is more subtle, but if it exists as Thomson speculates, then it clears up the apparent inconsistency in the waiters’ dialogue. When the older waiter tells the younger waiter that the old man tried to hang himself, the younger waiter asks, “Who cut him down?” Thomson suggests the younger waiter was not thinking clearly because it is easier to lift someone up and untie the rope or to untie the rope itself than it is to cut the rope and let the person fall down. The older waiter notes this, but decides to barb the younger waiter by replying, “His niece.” He does this without further explanation of the particulars because he knows the younger waiter is completely disinterested anyway. This is shown by the younger waiter’s next response: “Why did they do it?” Even though the older waiter said niece, the younger waiter responds with “they” suggesting he was not listening. Where the inconsistency is purported to occur in the original text, it is my feeling that the older waiter is still barbing the younger waiter, but the younger waiter’s aloofness prevents him from realizing this. Taken literally there is no inconsistency because it was the younger waiter who suggested someone cut him down. The older waiter simply agreed with him. I could just imagine the scene when the older waiter said this to the younger waiter. His eyes would glance up, a thin smile would appear on his lips, but the younger waiter would not be looking. His consternation would focused towards the old man who was keeping him from bed. The older waiter was prodding the younger waiter for suggesting that to take care of the old man all one had to do was cut him down. When the younger waiter did not respond to his jab, the older waiter probably just shook his head and went on to tell him the old man was not so bad. This might be construed in some camps as just rank speculation, but I enjoy playing with the original text and trying to interpret what Hemingway wrote, not what Scribner’s wrote. Whether or not Hemingway intended this apparent anomaly to be interpreted this way is unknown, but I do believe he intended to write it as it was in the original text. The effect of what Hemingway wrote must be analyzed through his style and usage of language, but it must be done through what he wrote and not what satisfies someone else’s common sense. I would like to know the validity of this article and the credibility of the author. Does this criticism have a work-sited page? A publication journal? Or did Kotas just write it for fun? Does he have a background in criticism? Intruriging… Howevr you need to work on you ‘re gramer.. Make sure you document you’re sources to. You people are one to comment on grammar! You guys can’t even spell properly. ssems is spelled seems idiot.intruriging is spelled intriguing. Gramer is grammar. Perhaps your inability to understand the essay is due to the fact that you’re several bricks short of a load. No background in criticism folks – either literary or otherwise. Just a school assignment from 1998. Extensive background in reading for reading’s sake however. Just curious if you know where the “original” text can be found or where I might find George Thomson’s essay? i am on the side that agrees that the work is a little hard to follow which character is speaking and which is not. especially the part in which one of the waiters comments on the soldierd and prostitute walking down the street. the other waiter says in rebuttal “what does it matter if he gets what he’s after?”. whho is speaking here? What is the problem here? There is no inconsistency. The young waiter serves him brandy, comes back and says, “He’s drunk now.” From there it is a natural back-and-forth dialogue, with the older waiter saying “His neice” and the younger waiter speaking the other line in question. Your analysis is certainly interesting, but the text speaks for itself. Maybe he’s showing, in the case of the soldier, that there is alway conflict. And that conflict is in our lives constantly, circling the edges of our conciousness. As with many of his stories, there is more conflict away from the epicenter of his main theme. Maybe, as a writer, he’s drawn on his own personal life and the sometimes private and not so private thoughts of suicide. Certainly lived an interesting life, much more so than those of us. Definately more interesting than the local barber or that guy working a mundane pipeline job.